Today is World Water Day – an opportunity to draw attention to the most pressing water-related issues. And what better way to illustrate these issues than with cinemagraphs? World Water Day is an annual event celebrated on March 22nd. 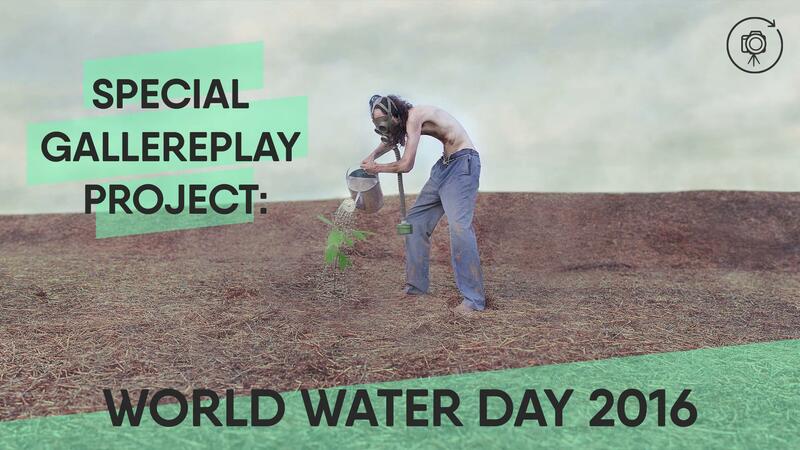 It was created by the United Nations and presents an opportunity to raise awareness of water-related problems. More than anything it’s a chance to focus the public’s attention on a natural resource that we depend on, but all too often take for granted. Wanting to get involved in this year’s discussions, we challenged our worldwide community of artists to create cinemagraphs around water-related themes and facts. Creators from four different continents (Australia, Asia, North America and Europe) submitted visuals, covering topics as as diverse as water scarcity and the exploitation of natural water sources. The result is a gallery of full-screen cinemagraphs, accompanied by startling statistics about mankind’s relationship with water. By featuring water as the “motion element” against an often static backdrop, the series highlights the importance of H2O to our world. The UN-Water team, which has supported and encouraged this project along the way, is currently featuring the project on its homepage and social media channels. Our joint mission is to inform and raise awareness through artistic content. Hopefully we’ve succeeded in creating something a little unusual that visitors will remember and share with their friends and families. We invite you all to browse the gallery and spread the word. Click HERE to view the project. P.S. A big thank you from the gallereplay team to all the creators who volunteered and contributed to this project with cinemagraphs!